Luyện Nghe VOA : New Orleans Coffee Arrives in Vietnam | www.HelloCoffee.vn | Tổng Hợp Các Phương Pháp Học Tiếng Anh Hay Dễ Học. Học Tiếng Anh TOEIC, LTĐH,..
PJ’s Coffee is a (1)_______________ New Orleans, the largest city in the American state of Louisiana. The city (2)________________, including coffee, and music. The new PJ’s coffee shop (3)________________ in Ho Chi Minh City. PJ’s has 84 shops in seven American states. This is the (4)________________ outside the United States. 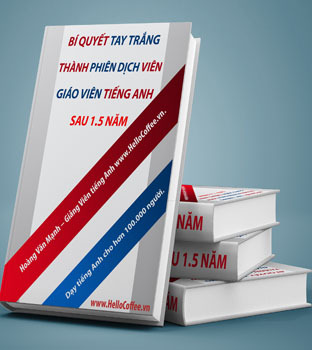 PJ’s Coffee is joining (5)________________ American companies with stores in Vietnam. Companies like Burger King, McDonalds, Kentucky Fried Chicken and Starbucks all (6)___________________ in Ho Chi Minh City. Ryan Stansbury is with PJ’s Coffee. (7)______________, Vietnam is a “good fit” for the Louisiana-based company. One reason is that coffee is (8)_______________, just as it is in New Orleans, he said. “Just like people in New Orleans, people in Vietnam are big (9)________________,” he said. New Orleans and Ho Chi Minh City also have very hot weather. That explains why (10)__________________ are so popular in both cities, Stansbury said. “That’s good for us because we (11)_________________ making cold-brewed iced coffee since our founder started PJ’s in 1978,” he said. Starting a business in Vietnam (12)________________ American company, Stansbury said. PJ’s worked with a Vietnamese business leader to help work through the (13) ____________________. Stansbury said PJ’s is paying “(14)________________” to export PJ’s coffee to Vietnam. Those (15)__________________ if the U.S. Congress approves the new Trans Pacific trade deal. President Barack Obama visited Vietnam in May. He said the trade deal will (16)__________________ by lowering costs for U.S. companies to export products. But (17)__________________ it could lead more U.S. companies to move operations overseas. The two major party (18)__________________, Hillary Clinton and Donald Trump, both oppose the trade deal. Stansbury said that besides the high costs of (19)_______________, language was another barrier. It was hard for English-speaking PJ’s Coffee workers to train new (20)_____________________. “It usually takes two weeks, but it took us about three times as long to get the training done because of the (21)___________________,” Stansbury said. PJ’s has also made changes to (22)_____________________ of the Vietnamese market. Green tea is popular in Vietnam, and PJ’s added a drink that it calls Green Tea Velvet Ice. It is a (23)_______________, ice, green tea powder and fruit syrup. The company also offers a (24)________________ drink with condensed milk and ice. It is called “Ca-Phe Sua Da.” PJ’s is looking to add the drink to its U.S. coffee shops. Because Vietnamese often sit with friends for (25)_________________ at coffee shops and restaurants, PJ’s is looking to add more food products. It could include the (26)___________________ so popular in Vietnam and Vietnamese restaurants all over the world, Stansbury said. PJ’s has (27)_________________ on its Vietnam coffee shop. Plans are to add more coffee shops in Vietnam, and set up others in Malaysia, he said. Secretary of State John Kerry spoke last month about the “(28)____________________ in Vietnam” since he fought for the United States in 1968 during its war with North Vietnam. Kerry said he always loved the Vietnamese people, but (29)_____________ by the “pulsating entrepreneurial energy” throughout the Southeast Asian country. Reporter Ralph Jennings wrote about the (30)________________ in Vietnam. 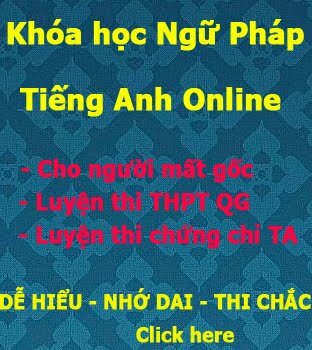 He said traffic problems have increased in the (31)__________________ district of Ho Chi Minh City. “Restaurants serving (32)________________, which is more expensive than local food, fill at night,” he wrote. He said they are full of people talking noisily and using mobile phones. Bruce Alpert reported this story for VOA Learning English. ­­­­­­­­­­­­­­­­George Grow was the editor. We want to hear from you. Write to us in the Comments Section and share your views onour Facebook Page. Do you like coffee? Do you choose hot or cold coffee? And what do you like in your coffee?